Getting into nearby Shrewsbury is really easy if you’re staying at Oxon Hall Touring Park, which is part of the larger Morris Leisure Group of sites – there’s a park-and-ride facility right next door. That means you can leave your car or motorhome at the site; you’ll be into the medieval town before you know it. If you’d prefer to stay at the park, you can make use of the numerous and high-quality facilities. They range from a good selection of pitches (including some for large American-style RVs or fifth-wheelers) to a shop that sells a wide range of food and accessories, a children’s play area and a motorhome service point. There’s also a section of the park dedicated to adults only, if that’s what you’d prefer. 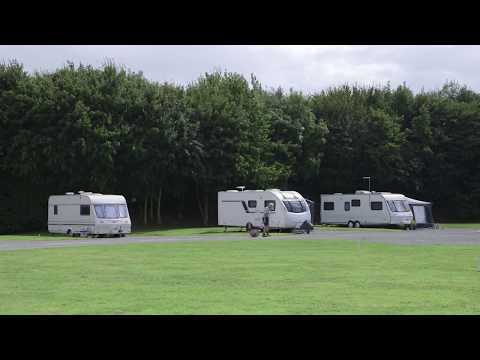 The Touring Park is located just off the A458 Welshpool road on the North-western side of Shrewsbury. Follow the signs for the Oxon Park and ride from the Welshpool island on the A5 Shrewsbury by-pass. This is the point that crosses the A458 Welshpool Road. The entrance to the park is a quarter of a mile towards the town centre; turn left at the CO-OP Supermarket.